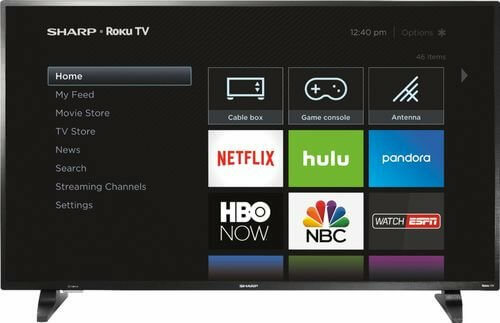 Cast Full HD content with this 50-inch Sharp Roku TV. Its easy-to-use interface enables versatile control via the included remote and its mobile app, and it has three HDMI inputs for connecting AV and gaming components. This Sharp Roku TV has fast Wi-Fi for smooth media streaming and internet browsing.